Ukraine – Not ‘The Ukraine.’ Only John McCain calls it that. Kyiv – Used to be called ‘Kiev,’ but that spelling apparently is for Russian imperialists, or people who had a classical education. 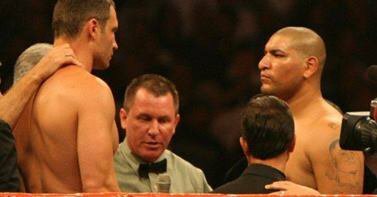 Vitaly Klitschko – A former heavyweight boxing champion, Klitschko is more than two metres tall, and has used his towering physique to defuse potential altercations between Berkut and protestors. Stridently pro-European with deep ties to Germany. UDAR – Klitschko is leader of the Ukrainian Democratic Alliance for Reform whose initials, UDAR, spell out ‘punch’ in Ukrainian. His brother, Vladimir Klitschko is also a boxer and opposition activist. Maidan –Technically the Ukrainian for ‘square.’ Kyiv’s main square, Maidan Nezalezhnosti (Independence Square) became the scene of mass protest during Ukraine’s ‘Orange Revolution’ in December 2004. Since then the word ‘maidan’ has become shorthand for protest, not only in Ukraine, but also in other former Soviet Republics. Euromaidan – The protest movement that has arisen following Yanukovych’s last- minute refusal to sign an Association Agreement with the European Union. Automaidan – Essentially a protest on wheels, in which Ukrainian drivers ride in convoys with flags and signs. New legislation brought in on 16 January 2014 by Ukraine’s parliament, the Verkhovna Rada, bans driving in groups of five or more cars. Orange Revolution – Term for the mass protests that followed the rigged presidential run-off elections between Viktor Yanukovych and Viktor Yushchenko in 2004. Though Yanukovych was declared the winner, protests forced the election to be annulled and the run-off was run again, with Yushchenko taking 52% of the vote. The Revolution took its name from the colour worn by Yushchenko’s supporters. Viche – Taking its name from traditional councils in medieval times, the term is now used for popular assemblies at protests where various citizens from all walks of life, and political sympathies, are allowed to address to the crowd. Travelling in convoys of more than five is now punishable by by fines and confiscation of automobiles. Photo via Facebook. ‘Jeans’– the name used in Ukrainian journalism for seemingly objective articles in the press that have, in fact, been planted or purchased by the country’s powerful oligarchs. Arseniy Yatsenyuk – De facto leader of Ukraine’s largest opposition party, Batkivshchyna or ‘Fatherland’, whose nominal head, Yulia Tymoshenko is currently imprisoned on corruption charges. Yatsenyuk is the opposition’s most experienced political leader but is widely seen as lacking the charisma of Tyahnybok or Klitschko. Oleh Tyahnybok – Leader of the Ukrainian nationalist party Svoboda (‘freedom’ in Ukrainian). Svoboda has been criticised for its ties to right wing and anti-Semitic elements. Tyahnybok is a former urologist by profession, and his powerbase is primarily in the country’s Ukrainian-speaking western region. Petro Poroshenko – Former Minister for Trade, and also Foreign Minister, Poroshenko is owner of the successful ‘Roshen’ chocolate company, and one of the few oligarchs to declare open opposition to Yanukovych. Poroshenko’s chocolates were recently embargoed by Russia on ‘health’ grounds. Poroshenko’s chocolates were recently embargoed by Russia on ‘health’ grounds. Association Agreement –A treaty that would have granted Ukraine a privileged position in terms of trade with the EU. It would also provide Ukraine with funds for harmonising standards, and for reforms aimed at improving the rule of law and human rights in the country. Both sides had initialled the treaty in July 2012, but negotiations stalled over the imprisonment of former Prime Minister Yulia Tymoshenko. Ukrainian President Yanukovych was expected to finally sign the agreement in November 2013 at a conference in Vilnius but didn’t, claiming in the final round that he would need at least 20 billion euro a year for reforms. His refusal prompted the Euromaidan Protests. Opinions differ over how beneficial the Agreement would actually be for Ukraine. Viktor Yanukovych – President of Ukraine since 2010, Yanukovych’s powerbase is in the Ukraine’s industrial and Russian-speaking southern and eastern regions. Titushki – Originally named after Vadym Titushko, a martial arts fighter and part-time bodyguard who had been accused of beating a female journalist at a rally for the ruling Party of the Regions. 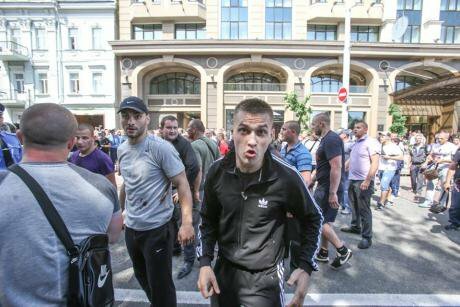 The term is now widespread in the Ukrainian media for hired muscle at political rallies. Svoboda has been criticised for its ties to right wing and anti-Semitic elements. Berkut – Literally ‘Golden eagle’ in Ukrainian, the Berkut are the country’s elite riot police and have played an important and controversial role in policing the protests. They are largely veterans of Ukraine’s paratrooper and naval marine units. Vadym Titushko, who gave his name to the titushki, at a Party of the Regions rally.Rinat Akhmetov – Ukraine’s richest oligarch and a powerful political ally of Yanukovych, Akhmetov owns the football club Shakhtar Donetsk, and has close ties to London. Viktor Medvedchuk – Oligarch and leader of the small party ‘Ukraine’s Choice.’ Arguably the most pro-Russian political figure in Ukraine, Medvedchuk has long lobbied against the signing of the Association Agreement. Russian President Vladimir Putin is his daughter’s godfather. Customs Union – The tariff-free economic zone that has existed between Belarus, Russia and Kazakhstan since 2010. The Customs Union is seen by many as the first step towards greater integration of the former Soviet republics into Russia’s proposed ‘Eurasian Union’, an economic and political union similar to the EU but politically centred on Moscow. 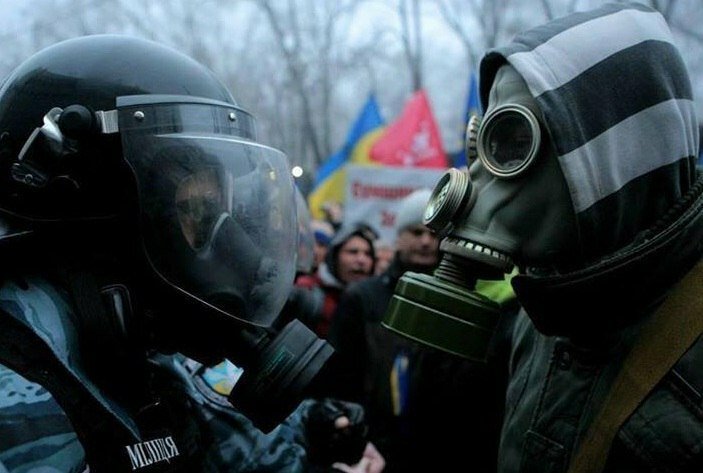 The Berkut face off against Ukrainian nationalists. Svoboda has been linked to far-right and anti-Semitic elements. Stefan Füle – EU Commissioner for Enlargement and Neighbourhood Policy. Was given a bloody nose by Yanukovych when they went head to head in Vilnius. Catherine Ashton – High Representative of the Union for Foreign Affairs and Security Policy,’ in other words EU foreign minister; has repeatedly expressed 'concern' at developments in Ukraine but so far been silent on the prospect of sanctions.